While spunky and sometimes capricious Wi-Fi does have the very redeeming quality in her ability to keep information to herself. Wi-Fi will not reveal any secret told in confidence or personal information as a rule. This includes protecting sources or others in her charge that wish to remain unknown. She is quietly seeking to bring out the best in others around her and make life as easy as she can for herself or others; even if means crossing a few lines. Clarica just makes sure she chooses her lines very carefully so her friends, allies, and sources are unharmed as possible. Clarica is pleasant and open-minded with friends, is a Team and 'pack' orientated individual, works well with others and can adapt to others method reasonably well. She shows excellent restraint in her personal views and feelings when among allies, group members and others she does not like. She is Professional will put any team goals before her own personal agendas. bonuses in Blue apply only when Force aura is active. Description: She tends to dress normally preferring Jeans and pants to skirts or dresses and likes T-shirts and White thick material dress shirts. She mostly wears dark shades or white/dark color combos. Her figure looks to be about 120-128. -Recovers at a rate of 4D6 S.D.C. Per 10 minutes. A.R. 14: all attacks 14 and under do no damage, those 15 and higher inflict damage to the force field. 200+10 SDC/level (current total: 280) The aura works as natural Armour rating and defense. Note: the field gives her equipment and clothing, as well as those of people protected a metallic sheen. -Psychic Surgery (14) Range: Touch, Duration: Varies with injury, Trance 2d6 Minutes+ half of the time modern surgery would take. -Exorcism Range: immediate, touch or with in 8 feet. Duration: Length of trance 30 minutes of preparation and 6d6 minutes with the possessed person or animal. Isp: 10, Success ratio to remove the entity: 35%+7%/level and 28%+7% to force the entity back to its dimension. -Total recall (2) percentile Roll: 01-50 remembered in full detail word for word, 51-80: details are forgotten but full essence of ideas are clear, 81-00: remembers only basic concepts, no detail or strong comprehension. Detects general alignment and state of mind last owner, General purpose of items, Whether or not the last owner is living and if the item was used with/by magic or supernatural forces. isolated images of events in the past of owners, Details of significant users like height/ weight, age or special features of specific users. can read present images and impressions. Last edited by Wi-Fi on Sun Jan 27, 2019 2:27 pm, edited 119 times in total. -re-breather/gas mask (air tank for underwater use required). She also has a Hooded Long coat with snaps to hold down hood to a mask to help reduce physical profile identification. It is a light leather with Concealed armor to protect wear from some injuries, impacts and cuts. -hood that snaps shut and holds down her suit mask to keep it from getting in the way. -Use of non-magnetic metallic zipper and Non-magnetic. 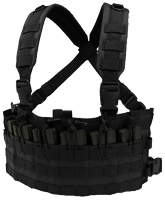 This harness allows the wearer to use the remote Wireless Router system to hack into or access local area networks and things like security cameras, information databases, Drones or Remotes and such while in the field. The feed can go to a monitor or goggle with the video feed. The system itself is highly secured and has redundant anti-virus, anti-spyware and Mal-ware protection as well as lead and copper lined pouches holding vital electronics similar to Faraday cage. Range: Wireless pick up and transmission range varies with signal and power fed into the transmitter. -Easy maintenance and easy to find parts. Light may also be used as flashlight, signal or for Morse code, altered to emit Infrared or ultra-bright range and has a Light Pattern Recorder. It can repeat and flash as set by the user On/off switch and a Timer are also installed. This device is about the size of a modern hand sized Ipad/phone. Primary Purpose: Varies by Program, can be a virus, hack or other non-virus uses. Such use may include: to play a message, call up a certain function at a set time, transmit an anti-virus program or another mundane task. Secondary Purpose: Electronic assault emits a virus to designated target via the computer's USB the stick is attached to or the Router. When placed in a computers USB or routers it attempts to send a virus or acts as a relay to hack into the attached computer. the virus may be set to perform a specific task or cause a general virus. An on/off switch and timer are included to synchronize hacks and program activation. Easy to make and cheap to replace the vigilante group called Nest employed these handguns extensively. Ideally, each member would carry 2-6 of these pistols to reduce the re-loading time and some pistols were designated to use special ammunition that damages weapons. Multiple function shots ranging from non-lethal rock salt or pepper spray/mace cocktails to 12 gauges sized explosive and a variety of Flechette rounds. Quick reload packets were also designed to enable faster reload time and they are made of Non-Ferrous materials as well. they load like a double Barrel shotgun to make them easy to use even by novice Nest members. Special shotgun shells: Amount and type carried vary by mission payload. a quick load packet has three rounds in it. Rounds are stored at her main stash but often left out unless combat or the mission specifically calls for the type of ammunition to avoid the risk of it being used against her. Rounds with the word (Favored) indicate standard rounds she carries. 1 point of damage, unarmored targets must save vs. Non-lethal poison or suffer -1 to attacks for 1-4 days. successful save means will reduce time to 1d4 minutes. Phosphorous: 6 quick load packets uses as flare or to burn through barricades. range 24 feet, damage 7d6 (35% chance to damage barrel when fired imposing a -4 to strike, a second failure will render weapon unusable. specially shaped Teflon jacketed slugs. +2 strike or reduce AR by 2. Damage: 5d6 with a P.V. of 5. Special Ceramic rounds that do not shrapnel or leave bullet fragments. • Damage: None. This pistol fires an energy charge that short-circuits the nervous system. Victims are dazed, -10 to strike, parry and dodge for 2d4 melee rounds. A successful saving throw means the person has successfully fought off the effect and is unimpaired. Roll to save against each blast that strikes. Saving throw versus toxins. • Damage: None. These gloves discharge an energy charge that short circuits the nervous system. 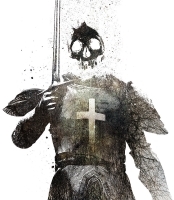 Victims are dazed, -10 to strike, parry and dodge for 2d4 melee rounds. • Dragon Slayer: Does normal damage to all creatures except dragons and sea serpents, to which it inflicts double damage. • Eternally sharp blade: Weapon never dulls and is +3 to damage. • Armor Piercing: bypass the A.R. of their targets. If used against targets wearing body armour, the armour will not be harmed by this weapon, as it will automatically seek out gaps and chinks in the armour through which to strike. When used against creatures with a high natural A.R., this weapon simply goes through the natural defences. • Super-Sharpness: +4 to damage, but more importantly it lowers the required roll for a critical strike by two points. History: During the great Elf-Dwarf war, a singularly exceptional Elven alchemist created a number of identical enchanted knives used to add some gravity to the Elves' negotiations with the dragons of their time. From time to time across the ages, these knives have surfaced in the hordes of ancient dragons, and among ruins from that era. They are often associated with the appellation "folly" as those who bear them have frequently overestimated the power of the weapons, and underestimated the might of dragons. Most missions she typically has 1-3 of them unless all 5 are needed for certain. Wi-Fi may let others use them if the team splits up to be able to share visuals with others over a distance. Wi-Fi is protective of them and treats them as she promised DLL she would. As if she created them herself. she does intend on adding a small monitor or hollow emitter on it to better convey messages and images with eventually. Description: Silver robot in the shape of a spider. Finger Laser: Damage: 1 point, 1D4, or 1D6 damage. Range: 250 feet. +1 to strike. Electrical Discharge: Damage: 2D6. Range: 6 feet. APM: One per melee. Spike and Towline: Damage: 1D4. 15 foot length of 'web'. SPECIAL: Can adhere to walls and ceilings due to specialized electromagnetic components. About: Created by Daddy Longlegs (Telluride Robotic Systems) to do his bidding. Thes five currently serve Wi-Fi in the field. Personal Wardrobe: consist of long coats (Black-dark Grey, Dark Grey-Blue, Blue and a black one), a T-shirts, several pair of Safety Hiking shoes (with non-Ferris steel toe, sole and shank to avoid magnetic powers), pairs of close-fitting Cargo style pants that are re-enforced with extra layers and padded to provide some protection from tears and impacts. Coloration: a pale green color for nest. -hood that snaps shut and holds down her hooded long coat and sweater hoods to keep them from getting in the way. -thermally insulated to reduce detection of a heat signature and help maintain temperature balance. in hot or cold environments. this may also provide some resistance to heat and cold as well. -Sound insulated to reduce detection of heartbeat and other internal noise a hypersensitive hearing type might listen for. In loud and dangerous sonic environments it may offer protection. -Use of non-magnetic metallic zipper and Non-magnetic metals. Life savings: none spent on gear since a vigilante doesn't make a lot of cash. Weekly paycheck: does online programming and computer repair work for cash. -Future version will hopefully contain holographic and satellite relay capability. -Sensitive touch microphone on the index and middle fingers that permits eavesdropping through solid surfaces or at a distance. The recording can be played and downloaded into a chip or other personal comm device. -Electromagnetic pads in the soles of the boots for adhesion to certain surfaces. Edit: Added Goals so I don't forget them. Last edited by Wi-Fi on Wed Oct 03, 2018 6:41 pm, edited 64 times in total. Born to a fairly well off family her and her now estranged brother were the survivors of a fire that tragically killed their parents. both were raised by an elderly (now dead) uncle. What the young mutant did not know was that she had far more power than she was aware of. she was a Psychic. A potentially dangerous one at that. Learning to control what power she had was not easy and needed to be guided by others. her uncle,also a Mutant started to train her up until his death from a cancer he gained by stopping a radioactive villain. He asked her to continue his cause of protecting those who could not defend themselves. It was around this time she started to lose faith in humanity and its ability to be what they could truly be. All the chaos and destruction..they seemed doomed to turn on themselves. Attempting to push both her unknown future and lingering doubts about the fates of those around her aside she did what any person of reasonable conscience did. Strive to make a difference and to show them what they could be. Given heroes were not so inclined to the new vigilante style the young woman decided to go in a pack of like minded people. This pack ran for several years during which she learned a lot of hard lessons and lost good friends. When a group of unknown villains managed to take out the pack's headquarters in quick, brutal assault. The band of feisty vigilantes' fought back repelling the assault and fled to an old safe house and regrouped, but the safe house was also known to the villains. Fortunately a group of heroes who were tracking the unknown villain group struck as they attacked the vigilantes. During the chaos that ensued she and three of her allies took advantage of the fight and left the scene. When the fighting ended and the Centurions arrived taking the few surviving villains and heroes into custody and sending the heroes for medical attention. Of the Pack only 4 survived and each decided reforming was not an option, raided the last hidden caches of equipment and went there separate ways. The ex-pack mates Stay in contact today. she and the other 3 still talk with one another and occasionally help each other. Two of them retired from the business because they were getting to old, and one became a father. The Ex-vigilante now father moved to safer place to raise his children and wished his former allies luck in whatever path they took. As for our would-be hero she started a solo career as a hacker and freelance programmer to make ends meat. Seeing little excitement in that Clarica thought about joining a real hero team as fate would have it. Wi-Fi was in a job and found out she was helping a hero that was undercover. She saw an opportunity to improve her lot in life and boldly asked to get a job upgrade. The hero took her request to heart and saw some potential in her to do more good than she was as rogue hero or vigilante. He put in a good word and she was sent to a meeting with a new future, One she hopes will not end as grimly as her vigilante career did. Her few remaining possessions in hand, a reference and a newspaper it was off to find this hero team she was told might be a good start. Motorhead, Danko Jones, some Prodigy, Chemical brothers and a variety of songs. She has no one particular genre she favors. She prefers mid-hue music as it does not strain her eyes much. Hates paintings. She likes sculptures, and were she not a chromesthesia, might have been an Professional artist. May still be yet if she ever put her mind to the task. minarchists propose a state limited in scope to preventing aggression, theft, breach of contract and fraud. she favors the existence of minimal states and see them as necessary or inevitable. A 'night-watchman' state, or a minimal state, is variously defined by sources. In the strictest sense, it is a form of government in political philosophy where the state's only legitimate function is the protection of individuals from assault, theft, breach of contract, and fraud, and the only legitimate governmental institutions are the military, police, and courts. In the broadest sense, it also includes various civil service and emergency-rescue departments (such as the fire departments), prisons, the executive, the judiciary, and the legislatures as legitimate government functions. Advocacy of a night-watchman state is known as minarchism. Minarchists argue that the state has no right to use its monopoly on the use of force to interfere with free transactions between people, and see the state's sole responsibility as ensuring that transactions between private individuals are free. As such, she generally believes an economic environment in which transactions between private parties are free from government restrictions and this approach to the economy is most likely to lead to economic prosperity. sound → color synesthesia, or chromesthesia is "something like fireworks": voice, music, and assorted environmental sounds such as clattering dishes or dog barks trigger color and firework shapes that arise, move around, and then fade when the sound ends. Sound often changes the perceived hue, brightness, scintillation, and directional movement. Some individuals see music on a "screen" in front of their faces. Deni Simon, for whom music produces waving lines "like oscilloscope configurations – lines moving in color, often metallic with height, width and, most importantly, depth." Wi-fi's favorite music has lines that extend horizontally beyond the 'screen' area. this psychic sees people as shades of colored pattern. Its by spotting colored patterns with out non-light bodies that she spots invisible objects or people. Synesthetes show the same trends as non-synesthetes do. For example, both groups say that loud tones are brighter than soft tones, and that lower tones are darker than higher tones. Synaesthetes nevertheless choose more precise colors than non-synesthetes and are more consistent in their choice of colors given a set of sounds of varying pitch, timbre and composition. 1. May or may not keep her word to Villains willing to hurt innocents. Will keep her word with the non-violent or more professional Criminals (Aberrant types) so long as it does not conflict with her team loyalties or personal codes. Will always keep her word with teammates. 2. May lie to and cheat to Violent Criminals and Known Traitors. will never lie or cheat a teammate. 4. Will never kill and avoid harming an innocent if possible, Particularly a child. 5. Never torture for pleasure or extract information. May use a situation that happens by chance to extract information, but not likely too. 6. Never kill for pleasure. 7. May or may not help a Violent Criminal or known traitor in need. Will always aid a teammate however she feels about them. 8. Attempts to work with in laws when possible. 9. Breaks laws only when saving innocents and when no one is injured in the process if possible. Will compensate for damage if able to do so. when working on Official team business she will break no laws or not act in a conduct that is against its code. 10. Respects the professional Criminals code (never rat out a partner and such), enforce that code if dealing with a honorable/professional Criminals. 11. Will use Honorable/professional criminals as information Sources in an effort to save innocents and capture the Violent criminals. But will never betray her group/allies or commit crimes in exchange to get info. 13. Never betray a friend, teammate or fellow professional (Source or otherwise). Wi-Fi on Battle tactic that work. Last edited by Wi-Fi on Thu Feb 21, 2019 7:06 am, edited 23 times in total. Last edited by Wi-Fi on Thu Nov 01, 2018 10:20 pm, edited 2 times in total. Post one roll to determine your power category. Post three rolls to determine the specific powers within that category. Choose your preferred specific power. Hitting to entangle, disrupt or trip/tackle. In short to disrupt until you can get help, keep target busy or withdraw. kill, disable/KO and put an enemy down. Kill is a last resort only. -in any pattern or Fight to win, even if it means fight dirty. This includes taking one enemy and throwing them into another enemy. -fight in pairs and set up partners. Last edited by Wi-Fi on Thu Jan 11, 2018 12:08 pm, edited 1 time in total. Re: Wi-Fi (Human Mutant Psychic, APPROVED) LEVEL UP! I write this knowing my technical skill lies in software and computer tech. I would place my holo-tech skills at a reasonable second place. I recall taking a personality test back in college and university before they went all "feelings are more important than how well take constructive criticism". It was that "not hurting feelings over the truth" crap that made me leave Century Station university. That said one can accuse me of being a "know it all" for my bent toward concept thinking. Probably a trait I should curb...but Psychological analysis is not my focus. I can tell you how a person died, how a criminal thinks. Probably teach a kid to read if I had too. We're I inclined to that sort of thing. Sadly I was raised to be a survivor and that means people who can't take of themselves..well...lets say my Uncle tried and he did teach me a level of compassion and I still work on that.Wherever ever you are, old man...be well. Back to the topic...Our sponsors are stretched thin. Like the Canadian education system having three boards instead of a single board. Both have the same problem, one source of income and many mouths to feed. As the second in command of the Omegas I can have some say. It is the place of Brute to present though. He also has a few plans of his own. Brute is a good man, smart and practical. This means long term is not likely his goal. I believe this long term thinking will be our best place to get the resources we need. As archaic as the idea sounds an airship or blimp system would be useful. Of course we need to think on a smaller scale. Drones..Both ground and air will be needed. For this I will call the US military and its robotics division and ask about the latest version of the SWORDS robots. We already have the spider bots which are quite efficient as well. Stubby and 'his' four teammates are good models for the ground..but air wise we need coverage. I have two ideas.. Launched by hand and remote controlled they are small and nimble. With the right camera it could evade most firepower. I will run this idea by Faraday and any new High tech focused omegas. The military drones are larger and more durable than remotes police have.They are larger and lack the same mobility of the smaller drones we have. Most have the ability to be armed which can include Non-Lethal or chemical rounds designed for rescue and Disaster control. In the case of many Omegas we are more than durable to some degree. Others will not be and if Brutes idea about volunteer forces goes through they will need protection. Armour will be needed. Recommended weapon for medic: Grenade Launcher with flash/flare and non-lethal grenades such as chemical and camera/mini-ball cams with gas sensors. Also include parachute equipped Mini-ball cams to look over larger areas. Last edited by Wi-Fi on Sat Feb 23, 2019 11:46 pm, edited 1 time in total. Re: Wi-Fi (Human Mutant Psychic, APPROVED) LEVELED UP!